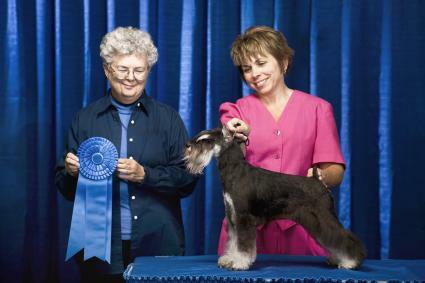 If you're going to pursue the dog show hobby, then you'll need to learn all about dog show supply sources and the tools of the trade. Supplement your basic list with additional accessories as you compete in more shows. The list of dog show supplies you will need can be quite extensive if you are serious about becoming a top exhibitor. However, the following list of basic supplies will get you through your initial entry into the hobby. 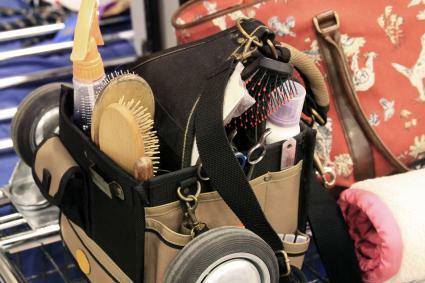 Many show participants purchase special dog grooming boxes or bags for their grooming supplies, or a tool bag or box from a home improvement store makes an excellent substitute. Also referred to as leashes, but with a difference. Leashes typically attach to a standard dog collar. Show leads are usually a one-piece unit with a loop and an adjustable slide that makes up the collar. Crate bedding - You should have some soft bedding in the crate, so your dog is comfortable. There are specially made pads for crates or use a favorite blanket from home. Crate fan - If you show in areas that are hot, affixing a fan to the crate can help keep your dog cool and reduce stress. Crate dolly - Having a dolly to move easily your crate around can make life much easier for you! You can use a regular furniture-type dolly and fix the crate to it using bungee cords. Sheet or crate cover - If your dog is nervous around other dogs or just needs some peace and quiet, a sheet or blanket placed over the crate can provide them with some quiet time. It also keeps people from bothering your dog. In addition to a crate, some exhibitors will bring a fold-up x-pen with them so they can allow their dog some more room to move about and stretch their legs. Not all shows will have areas where you'll be able to take your dog for some exercise, so an x-pen is a useful alternative. Every exhibitor needs to supply for their own food and water. Water bottles that can be attached to crates are especially useful for giving dogs a drink without giving them the chance to get wet. A spray bottle with water can also be used to provide the dog with a drink and is often used by exhibitors to moisten the paw pads for better traction on slippery surfaces. Make sure you bring extra bowls for food and water as well. There are four main sources of dog showing accessories open to consumers, and each has a varying degree of usefulness. These vendors can be found at nearly every dog show. The bigger the event, the greater the number of supply companies present. While you may pay slightly more for your supplies here, these vendors have the specialized equipment most dog show exhibitors are looking for like fancy show dog collars and professional grooming products. Sometimes the immediate convenience outweighs the added expense. These sites are usually considered the second tier of suppliers for most exhibitors. They often have better pricing and are fine if you can wait for a shipment. However, you will have to pay shipping in many all cases which could offset your initial savings. You will often find here the same specialized dog show items such as show leads, dog grooming supplies and dog show equipment carts. These items are often not available at local pet shops. Many exhibitors will find these catalogs in their mailbox once they have entered a few shows, as these companies comb dog show catalogs for exhibitor contacts. Stores such as PetsMart, Petco and Pet Supplies Plus carry many useful dog show items such as crates, and some dog feeding and grooming supplies. If you can find exactly what you're looking for here, you may be able to combine savings and convenience. The problem is these retail chains often do not carry specialized dog show items. In addition to dog show supply vendors, you will also find other vendors of dog show memorabilia at most shows. These vendors may be selling anything from signed and numbered dog art prints and sculptures, to doggie jewelry, to doggie clothing and bedding. In short, whatever you may be in the market for usually has a dog show supply company to fit. There are several vendors to choose from when looking to buy your dog show supplies online. Based in New Jersey, Cherrybrook has five brick-and-mortar stores in the state as well as their online store. 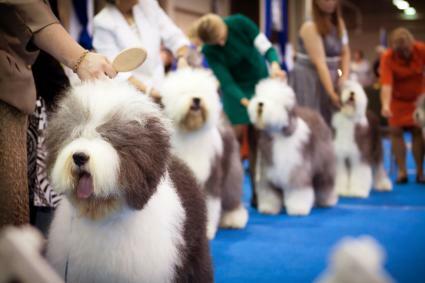 They are the only general grooming and show supply vendor at the Westminster Kennel Club Dog show. Cherrybrook is the world's leading distributor of Chris Christensen grooming products. They carry a huge list of popular and premium show supply and food brands. They also carry supplies for cats and pet-themed gifts for humans. The website also lists upcoming shows where Cherrybrook will have an on-site booth. This small company is run by a show dog exhibitor with multiple international champion dogs. The store carries the quality Wampum Cosmetics and Special One Cosmetics lines and their bows, robes, and beds are all made from eco-friendly materials. If you are planning to host a show, you can buy custom, handmade award rosettes that come in a variety of colors for $68. In addition to grooming products and supplies, the store carries Dry Whiskers water and feeder systems which are useful for long-haired cats and dogs where you need to keep their nose and mouth areas dry and stain-free. The shipping fees are $10 for all products in the US and $20 to Canada. They ship internationally as well. PetEdge is an online retailer that sells many types of supplies for pets including specialty products for professional groomers and dog show exhibitors. PetEdge claims to be the largest supplier to pet care professionals and independent retailers, with over 12,000 national brand and 20 exclusive brand products. Some popular grooming brands include Andis, Oster, Wahl, Master Grooming Tools, and ProSelect. The site runs several promotions and offers many free shipping deals so it's good to check back often for the latest deals. It's also a great source for cheap dog and cat toys and treats. Show supplies available are not only grooming products but show leads, crates and crate accessories, x-pens, bowls, and clean up items. The Show Dog Store site is a family owned business that provides supplies for exhibitors, breeders, groomers and everyday pet owners. Supplies include quality professional grooming brands like Andis, Chris Christensen, Bio-Groom and Oster, as well as supplies for cats and horses. In addition to grooming supplies, you can purchase everything you need for your show including crates and crate accessories, bowls, show leads and collars and more. The site features a blog with many helpful articles on grooming and show handling for beginners. The site offers free shipping for orders over $150. Most online retailers in the U.S. will ship to Canada, but if you're looking for dog show supplies based in Canada, there are a few choices. Ren's Pets is based in Guelph, Ontario and has 20 retail locations across the province. Ren's Pets carries supplies for both professional groomers and the average pet owner so you may not find everything you need here such as specialty leads. Grooming brands include Andis, Wahl, Oster, Q and Miller's Forge. Auto-ship set-up is also available for many grooming products for shipping within the greater Toronto area only. The site has a free rewards program to award frequent shoppers with discounts. The site also has regular sales and discounts so it's good to check in monthly for the latest options. Ren's Pets currently only ships to addresses within Canada. Another family owned business, Tybrushe is a full-service supplier of show and grooming equipment. Unlike a typical ecommerce website, Tybrushe lists their products and pricing but you must email them a list of items you want to receive a final dollar quote. They believe this provide the best service so they can make sure you are getting the right products for your needs. Tybrushe regularly has booths at dog shows in Canada and their schedule is posted online. 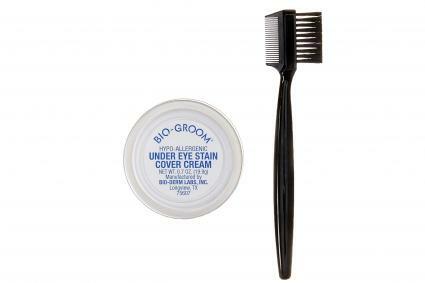 Products carried include grooming products like Bio-Groom, Chris Christensen, Sedona and Wahl. Show supplies include leashes, crates and accessories, treats, toys and bowls. 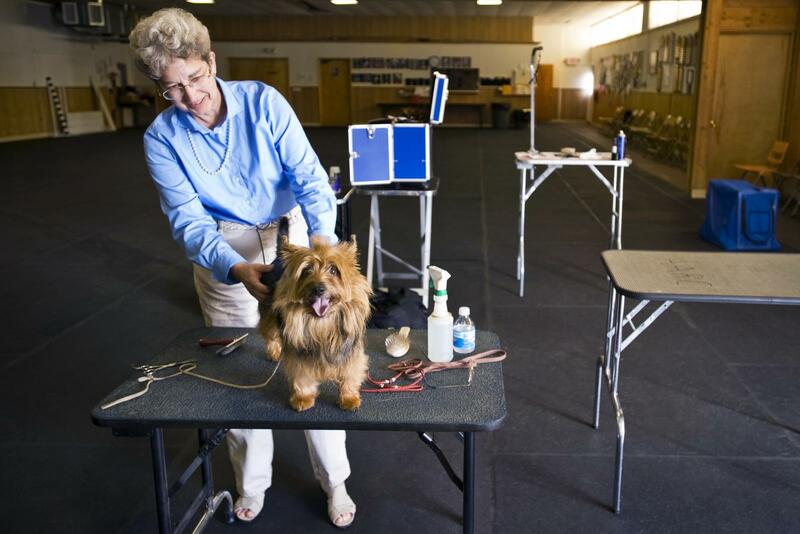 The site has a helpful page of links to YouTube videos featuring grooming tips and training. If you're new to showing dogs, you have plenty of options to find supplies including online retailers and day-of-show vendors. If you're confused about where to go and what to get, talk to other experienced exhibitors who are usually happy to initiate new people into the world of dog shows.